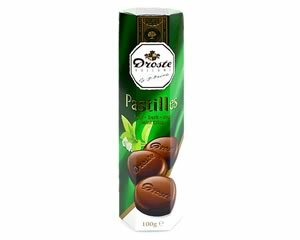 Droste Dark and Mint Pastilles 100g tube contains 20 discs of milk chocolate naturally flavoured with crisp mint pieces. 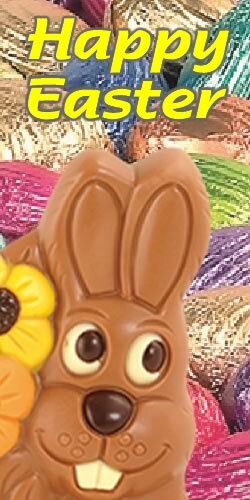 Ingredients: Sugar, Cocoa Mass, Mint Crisp (9.1%) (Sugar, Concentrates: Saffron, Algae; Natural Flavouring), Cocoa Butter, emulsifier: soya Lecithin; flavourings: vanilla, peppermint oil. Cocoa solids: 52% Minimum.